Michael Wallace and Alexis Morgan discuss the 96-91 win over the Dallas Mavericks. 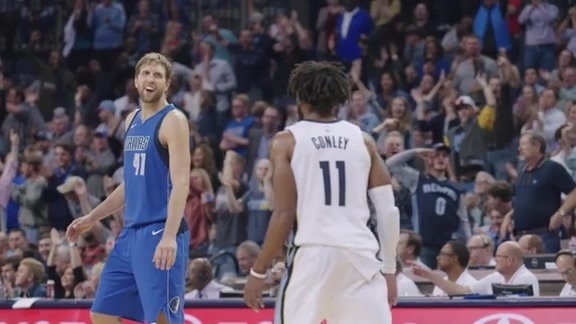 Take a closer look at the big-time moments of the Grizzlies 3rd home win of the season against the Mavs. 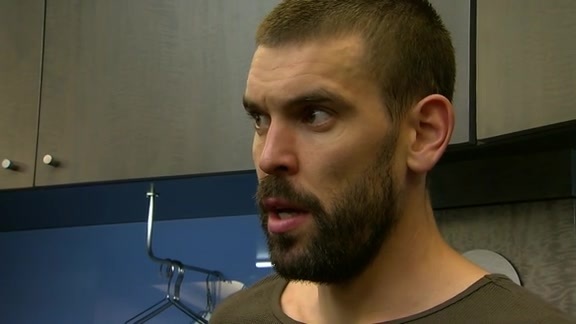 Marc Gasol speaks to the media on the Mavs second half comeback, 35 turnovers during the past two games and Grizzlies iso-ball/spacing on the court this season. Ennis says the team came out soft to start the second half but picked up the intensity during the fourth quarter when the game was on the line. 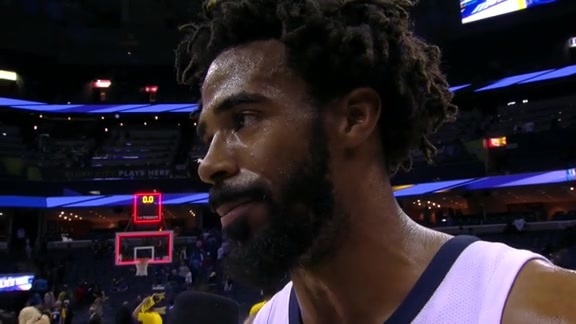 Mike Conley talks to Rob Fischer after the game about the Grizzlies 4th quarter grind out win. 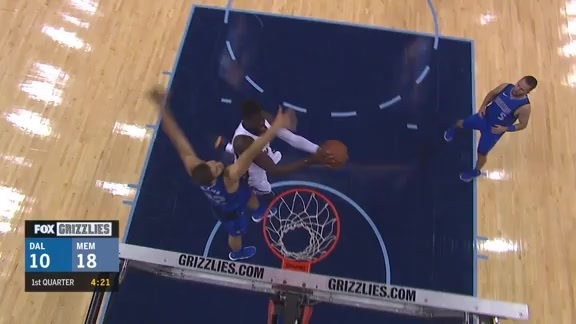 Check out the Grizzlies highlights from their 96-91 in a thriller over the Dallas Mavericks. Marc Gasol leads the way for the Memphis Grizzlies on Thursday night in their win against the Dallas Mavericks. 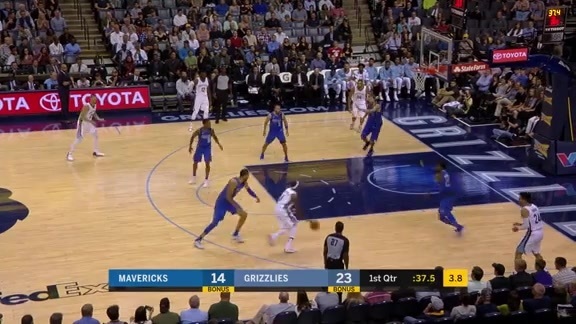 Take a look at the smooth moves from Evans as he leads the Grizzlies second unit in scoring during the win over Dallas. 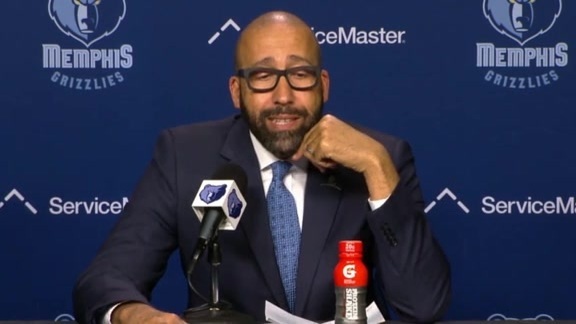 Head Coach David Fizdale speaks to the media following the Grizzlies 96-91 win over the Dallas Mavericks. Conley drives to the rim strong and puts up two points against 7-footer Nerlens Noel. Mike Conley connects from deep to give the Grizzlies the lead late during the fourth quarter and eventually win the game. 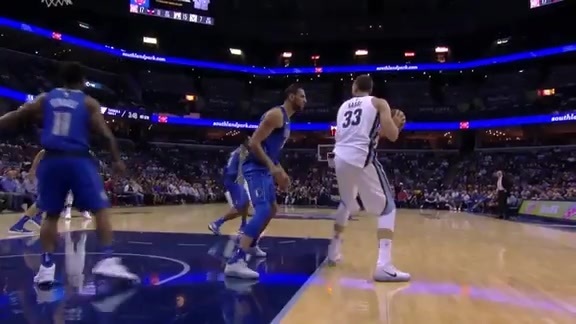 Marc Gasol drives and muscles his way through contact to throw up a shot that bounces in plus the foul. 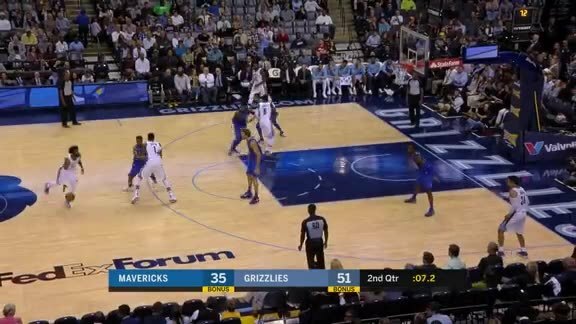 Mario Chalmers pulls out all the moves to leave Mavericks big man in the dust resulting in a three-pointer from rookie Dillon Brooks. 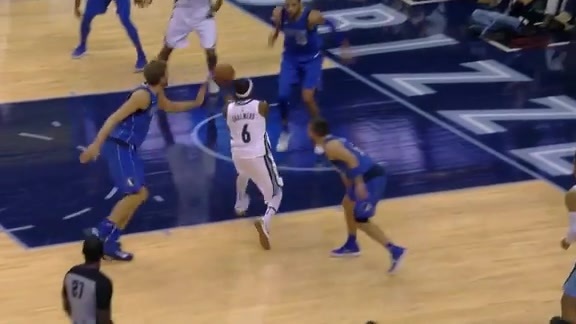 Rio flies past Dirk and tosses a no look pass to Brandan Wright who complete the 3-point play. 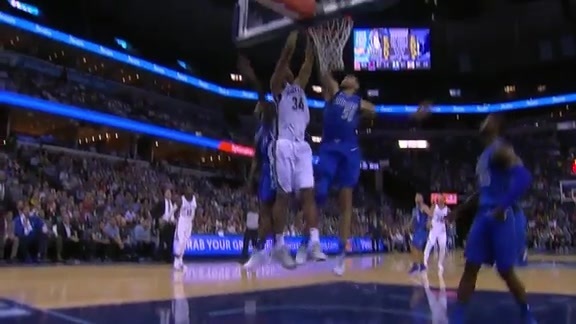 Marc Gasol makes Dallas big man pay for flopping with an easy bucket. Aggressive Mario Chalmers gets the steal, leads the break and finds James Ennis slashing to the rim for a tough bucket. Watch your 2017/18 Grizz Girls perform. The 17/18 Grizz Girls are presented by Gossett Motor Cars. Dennis Smith Jr. attempts a layup in transition but Jarell Martin swats Smith's shot off the backboard. The Memphis Grizzlies ended their home-and-home back-to-back series against the Dallas Mavericks with a 96-91 win on Thursday night at FedExForum. 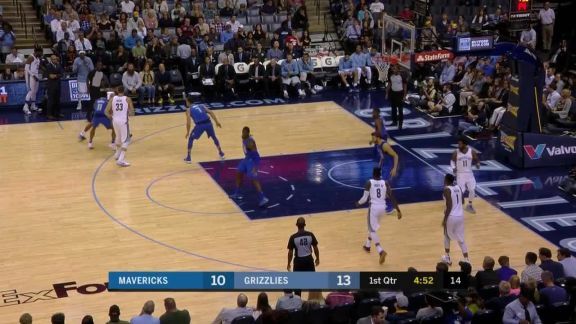 Turning the tables on the Mavericks from the night before, the Grizzlies got off to a smooth start on both ends of the court. After trailing by 14 (32-18) after the first quarter in Dallas last night, Memphis led by 14 (28-14) after the first quarter tonight. Ahead by six with 4:48 on the clock, the Grizzlies went on a 9-0 run over the next 2:33, stretching their lead to double digits. The Grizzlies expanded their lead as many as 22 in the second quarter and led by 19 at halftime. The Mavs began their second half campaign on a 7-0 run. 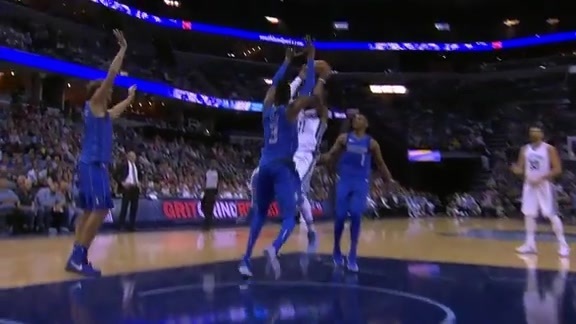 Wesley Matthews made four three-pointers in the quarter, as the Mavericks cut the Grizzlies’ lead back to single-digits by outscoring them 33-22 in the period. Dallas trailed only nine points going into the fourth frame. Dallas continued to chip away, going on a 10-0 run to cut the lead to two with 7:35 left to play. 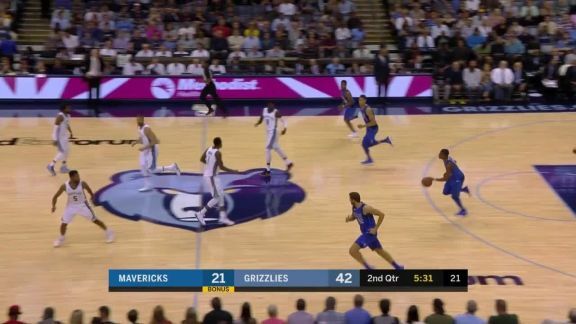 A pair of free throws from Marc Gasol would push the Grizzlies lead to four, but a Dirk Nowitzki triple and three free throws from J.J. Barea would give the Mavericks the lead with just under three minutes remaining. After a huge offensive rebound from James Ennis III, Mike Conley came alive for the Grizzlies, scoring six points in the remaining 2:31, and went 4-for-4 from the free throw line as the Grizzlies hung on for the win. Harrison Barnes led the way for the Mavericks with 22 points and 11 rebounds. Matthews added 18. Gasol once again led the Grizzlies with a game-high 25 points and 13 rebounds in the win. This marked his fourth 20-point effort in the Grizzlies’ first 5 regular season games. The last Grizzlies player to accomplish this feat was Rudy Gay, who had at least 20 points in all five regular season games to open the 2010-11 season. Conley added 22 points, including going 10-of-12 from the free throw line. The Grizzlies will face the Houston Rockets for the second time this season as they visit FedExForum Saturday night at 7 p.m. Tune in to FOX Sports Southeast presented by Pinnacle Financial Partners or listen on 92.9 FM ESPN for all the action. After making 16-of-24 (.667) free throw attempts last night, the Grizzlies knocked down 26-of-30 (.867) attempts tonight. After trailing by 22 in the first half, the Mavericks took an 86-84 lead with 3:56 remaining following three J.J. Barea free throws. The Grizzlies responded with a 6-0 run, including five points from Mike Conley, over the next 2:37 to take the lead for good. I think our offense got us in more trouble than our defense. They got hot. That’s one thing Dallas can do. Rick’s (Carlisle) got some guys over there that can really light it up, proven shooters. (Wesley) Matthews got rolling. 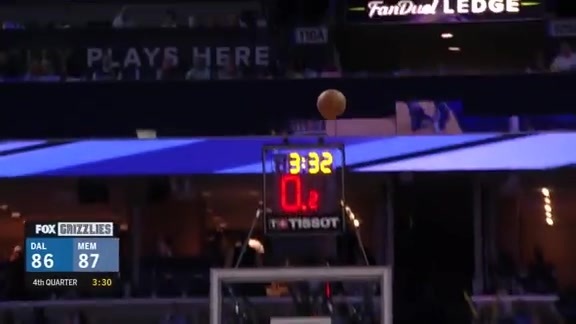 Dirk (Nowitzki) hit a few. (J.J.) Barea hit a bank. When you let a team mess with the game and you let a team get back into it and start feeling themselves, you don’t know what can happen. I was glad to see us regroup, dig in, and get stops when we needed to and execute down the stretch when we needed to. Maybe. You know, if you don’t see the ball going in sometimes that can affect you, but he’s still competing his tail off. He’ll find his way out of it. He’s given us solid minutes, starting for us. Like I said, what this does for him as we move through the season, you don’t know what can happen and he knows I have a lot of faith in him. He’ll bounce back, and I know he’s just happy that we got the win. See what Coach Fizdale had to say after the game. Yeah, I mean he’s the centerpiece for us. Everything revolves around him. We’re really trying to up the diversity of his offense and put him in a lot of different situations to get him looks at the basket or get other people involved around him. I love his aggression. I love the way he’s rebounding the ball. As long as we can keep that up, I really like it. They made some tough shots and we miscommunicated a few times—argue or not executing offensively. They made us pay 1-on-1, and then we got a little happy with that and stuck to it. We got enough stops, especially at the end, to stop the bleeding and take care of the game. On Coach Fizdale saying the team is “too casual"
I can see that when we’re playing out there. We still have a lot to prove. We just have to take it one game at a time and stick to our defense. Marc Gasol (25 points, 13 rebounds) recorded his fourth double-double and third 25-point, 10-rebound performance of the season… In only five games this season, Gasol already has as many games with at least 25 points and 10 rebounds (3) as he had in the last two seasons combined (126 games). 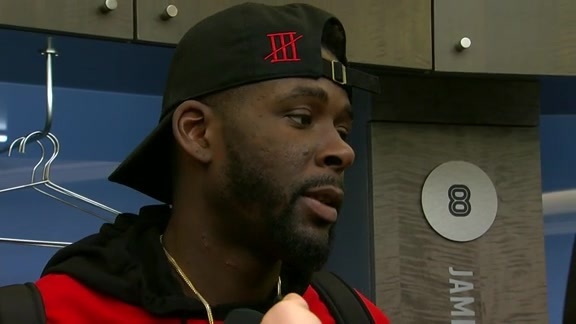 Tyreke Evans posted a season-high 19 points (7-of-12 FG) to go with six rebounds. He has recorded no less than four rebounds in each game this season. Jarell Martin blocked a career-high five shots and rebounds and tied a career high with nine rebounds. Additionally, he scored nine points and made 2-of-3 three-point attempts. Mike Conley scored nine of his 22 points in the fourth quarter. Entering the game, he was averaging at least 3.0 points more in the fourth quarter (7.3) than any other quarter. After trailing by 14 (32-18) after the first quarter against Dallas last night, Memphis led by 14 (28-14) after the first quarter tonight.